A simple addon that enables you to find and replace text on the webpage you are currently on. 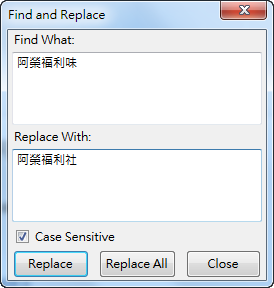 To access the replace form either use your right click context menu or the keyboard shortcut shift + R. You can either replace one instance or all instances of a text phrase. Also supports new line replacing, unlike any other find and replace addon.